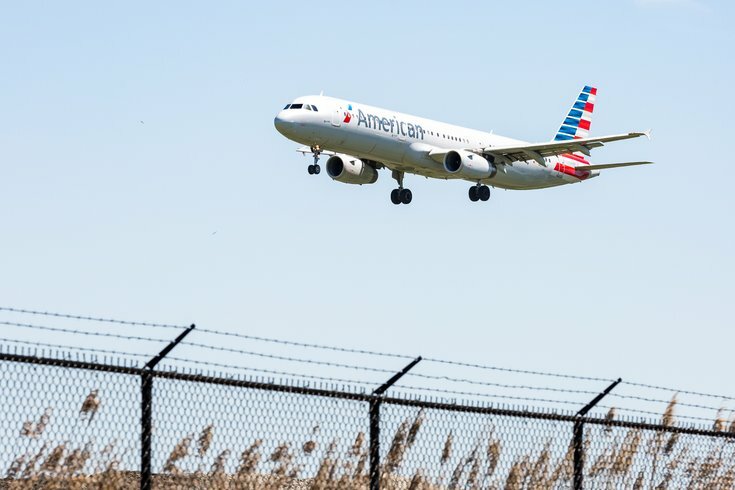 An American Airlines plane lands at the Philadelphia International Airport. American Airlines is adding new flights from Philadelphia International Airport to destinations in Florida this winter. Vasu Raja, the American Airline’s vice president for planning, said in an interview published Thursday that the company is interested in expanding to India and Africa when its new batch of Boeing 787 planes come in next year. Some of those planes will replace older aircraft on current routes between Philadelphia and Europe, according to Raja, but some are meant for new international routes. “The future of American Airlines is to grow international,” Raja said. And, according to the interview with Skift.com, if and when American Airlines makes its return to direct flights to India, it wouldn’t be a re-run of the airline’s old routes between India and Chicago, which reportedly lost the company money. No route announcements are imminent, Raja said, but offering up Philadelphia even as a hypothetical certainly is interesting. American currently offers connecting flights to seven different cities in India, but hasn’t offered a direct flight to India since 2012. Those connecting flights can be rough: One flight from Philadelphia International Airport to Sardar Vallabhbhai Patel International Airport in Gujarat, India, for example, takes 27 hours and includes three different connections. Earlier this month, Frontier Airlines launched its new low-price route from Philadelphia to Jamaica.